It considered a joint constraint including orbital stability and a habitable region for a possible system planet through the stellar radiative energy fluxes ("radiative habitable zone"; RHZ). Specifically, the stellar S-type and P-type RHZs are calculated based on the solution of a fourth order polynomial. 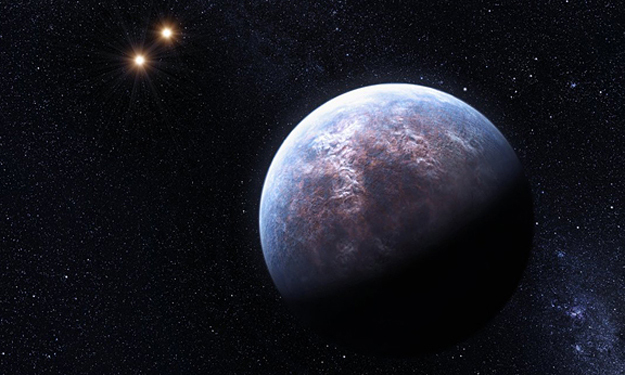 However, in concurrent developments, mostly during 2013 and 2014, important improvements have been made in the computation of stellar habitable zones for single stars based on updated climate models given by R. K. Kopparapu and collaborators. These models entail considerable changes for the inner and outer limits of the stellar habitable zones. Moreover, regarding the habitability limit given by the runaway greenhouse effect, notable disparities were identified between Earth, Mars, and super-Earth planets due to differences in their atmospheric models, thus affecting their potential for habitability. It is the aim of this study to compute S-type and P-type habitable regions of binaries in response to the updated planetary models. Moreover, our study will also consider improved relationships between effective temperatures, radii, and masses for low-luminosity stars.